Have you ever felt unworthy or even intimidated when you are in the company of far more distinguished personages? Well, I have. I cringe whenever I hear the bio-data of others being read out. My list pales in comparison. I’m almost always tempted to crawl back into my little hole of anonymity and believe that no one would notice my absence in the room. 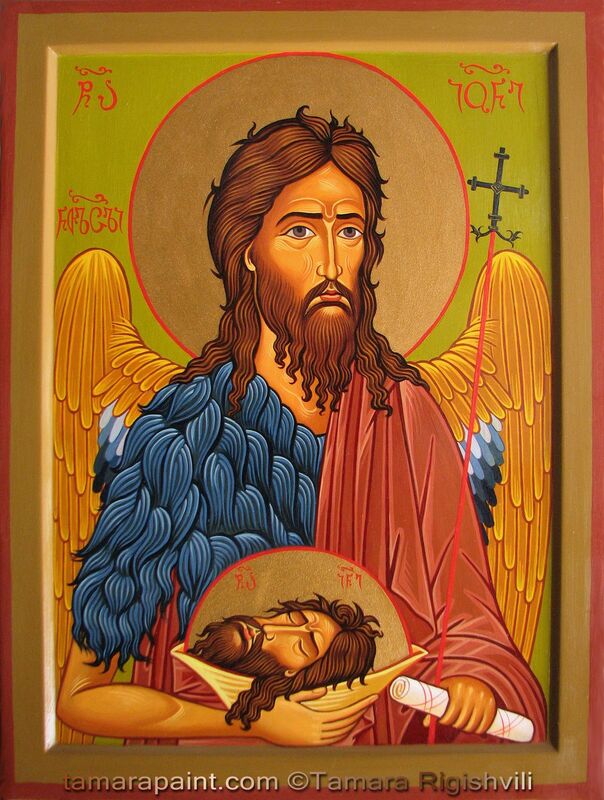 But unlike my reaction to being compared to other more distinguished persons, St John the Baptist seems unconcerned with the comparison. The reason is that he recognises that he is not the protagonist or the central character of the story. “It’s not about him.” Similarly, my friends often remind me, “Get over it! It’s not about you!” For John, it was all about the message. It was all about the event and the figure which he had been sent to announce. John's mission was to prepare the way for God's Anointed King who would come to establish God's rule above all other kings and authorities. Quoting from the prophet Isaiah, St Luke lays down for us the significance of this event: "all mankind shall see the salvation of God" (Isaiah 40:5; 52:10). On this Second Sunday of Advent, the insertion of John’s name at the end of this list of the “movers and shakers” of society serves to highlight one essential point: God is full of surprises! After having listed down all the “big guns”, St Luke sneaks in this seemingly quiet yet earth shattering statement, “the word of God came to John son of Zechariah, in the wilderness.” If there is a great opening line, it would be this! St Luke bypasses all the powers-that-be and highlights this singularly most important fact – God’s choice is indeed surprising – He chooses a marginalised unknown figure on the borderlands of human existence, on the fringes of social acceptance, no wealth, no prestige, no important connexions or influence, no power. And it is to him, the word of God came in an unlikely place, away from the centres of power, influence and religious significance. One might expect the rulers to be the headlining performers just like what we read in the front page news, but here, in the theological theater of the advent of God, St Luke presents these supposed major actors on the world stage as merely bench warmers, opening acts to the word of God coming to the Baptist. These rulers pale in reference to the man who now stood at the door of a new era of grace and salvation for the world. But, the greatest surprise was not the word of God coming to someone or to a place where people least expected it, but it was that God broke His silence. For centuries, after the last known prophet, God seemed to have maintained silence. Not a single peep. He may as well have gone off, busying Himself in another universe an infinite distance from ourselves. But the God who created the world is not like that; He is not a mute God. God has addressed the world many, many times and in very different ways by His servants the prophets. And then, God spoke through the Baptist, the last of His prophets. The “word of God” came to him. But then there is more; God has also spoken through His incarnate Son. Finally, the Word came in the flesh to you and to me and in fact, to all humanity. That is the great claim of the Christian faith. God may have spoken to the world by His servants the prophets in the past, but in these last days it was by His Son, Jesus Christ. Men and women are not left with perpetual questions. We do not live in darkness, always seeking but never coming to any understanding. God has spoken; let all the earth be silent. But what if the word of God never came? Where would we be? If the word of God never came, the blind would never see, the lame would never walk, the lepers would never be cleansed, the deaf would never hear, the dead would never be raised. If the word of God never came, the gospel would never be preached, you would not have been baptised, and what we do at every mass would be empty ritual. If the word of God never came, we would be left with our own words, our own opinions, or our own solutions and you know what damage they can do. If the word of God never came, we would never hear the angels singing on high, “Gloria in excelsis Deo.” If the word of God never came, death’s dark shadow would never be put to flight. If the word of God never came, our Saviour would not have given up His life on the cross in atonement for our sins, there would be no resurrection, and all life would be in vain, and without salvation. But because the word of God came, we must heed the word and “prepare the way for the Lord, make His paths straight.” Because the word came, we have to remove all obstacles, especially sin, that will impede His coming. That is the reason why Advent is also a penitential season – making a good confession would be the opportunity to have the empty valleys of our lives filled with grace, the high mountains of pride and arrogance laid low and our crooked ways straightened. When the word of God comes, nothing can remain the same as before. When the word of God comes, the word doesn’t leave us, or the world the same. You and I have to change, we must allow ourselves to be transformed. We’re a new creation surprised by the word of God who came to fill valleys and lower mountains and smoothen rough ways, and straighten crooked paths (and people). In other words, the word of God came to save the lost and transform a crooked and violent world that has grown cold, indifferent and even hostile to God. This is not what we expected from God’s Word but it is exactly what we needed. Right on time, in the nick of time, saved on time by a God who is never late but chooses the perfect time, to take on our human nature, emptied Himself, taking the form of a slave, being born in human likeness. 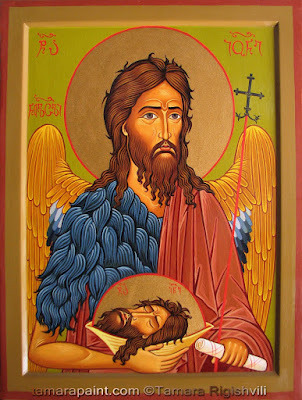 And being found in human form, He humbled Himself and became obedient to the point of death, even death on a cross.